With young children, Halloween is always a time of year to get crafty, making and baking so when I was sent a copy of the new Halloween Crafts book to review, I knew I’d have two eager helpers keen to make something. 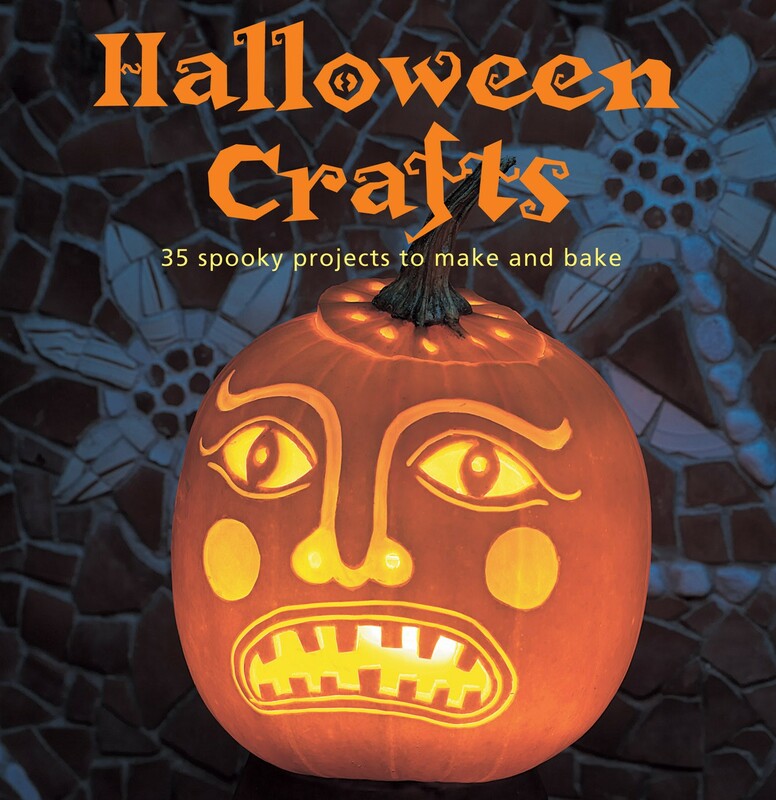 The book gives you full instructions for 35 different Halloween themed crafts all beautifully illustrated across colour pages of the book. There are even patterns and templates included at the back of the book. There is everything from balloon ghosts, bat ornaments, cobweb tablecloths and a spider pinata which looks fabulous, simply made from balloons. The children’s costume chapter is full of ideas such as witches, spiders and skeletons to the more unusual Frankenstein’s Monster and Amazing Alien! The chapter that really caught my eye was the edible one full of wonderful sweet treats from swamp jelly, witches hats and cauldron cake. There is a good variety of recipes, something to suit everyone. 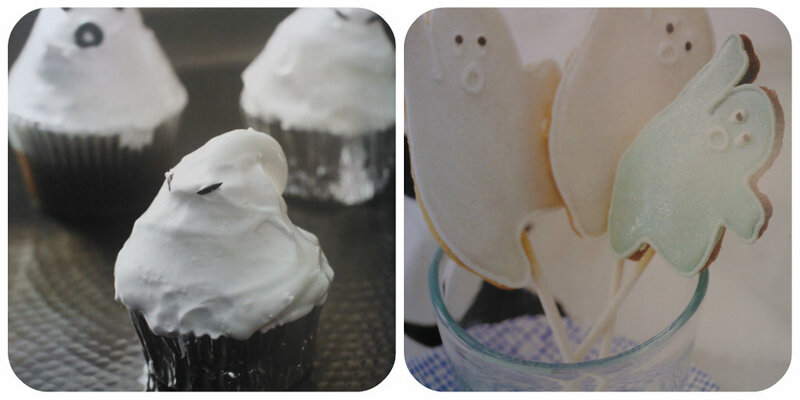 I really liked the look of the white and pale green ghost biscuits and the ghastly ghouls cupcakes – perfect for Halloween! I think the true test of reviewing a craft book is trying to create something from it to see how easy it is to follow the instructions and how well the finished piece is. We decided to try the Ghastly Ghoul Cupcakes although we did make one sneaky change to the recipe by exchanging two tablespoons of flour for cocoa powder as we are all big fans of chocolate cake. With two keen helpers and taste testers at the ready we started, Mister B took the control of lining the cake tins, and Miss M mixed the sponge ingredients and cracked the eggs. 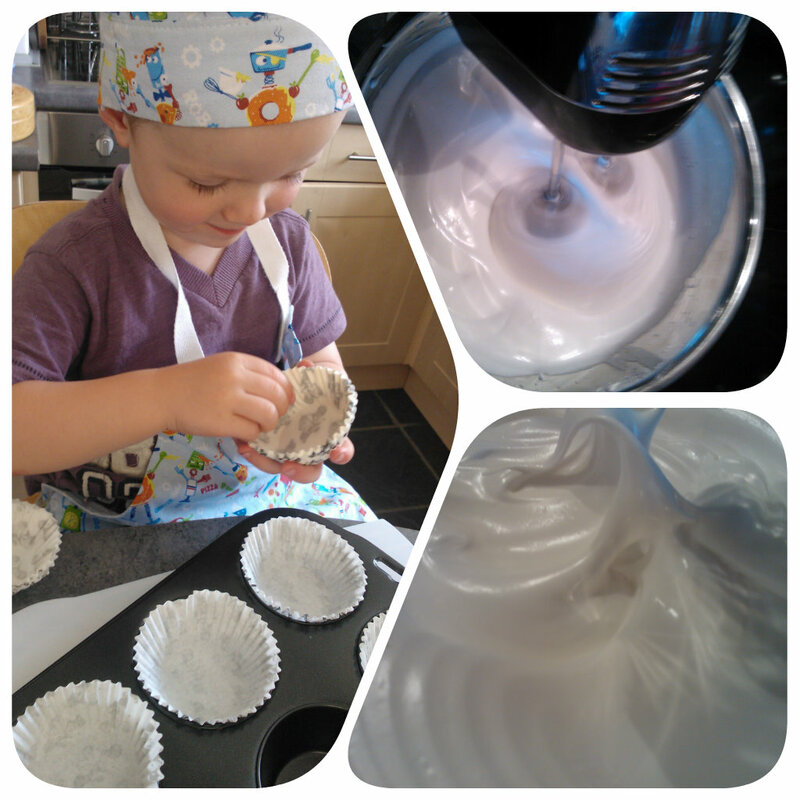 Mummy took control of the frosting as it needed to be whisked over boiling water and also was a little tricky for little hands to apply to the cakes. 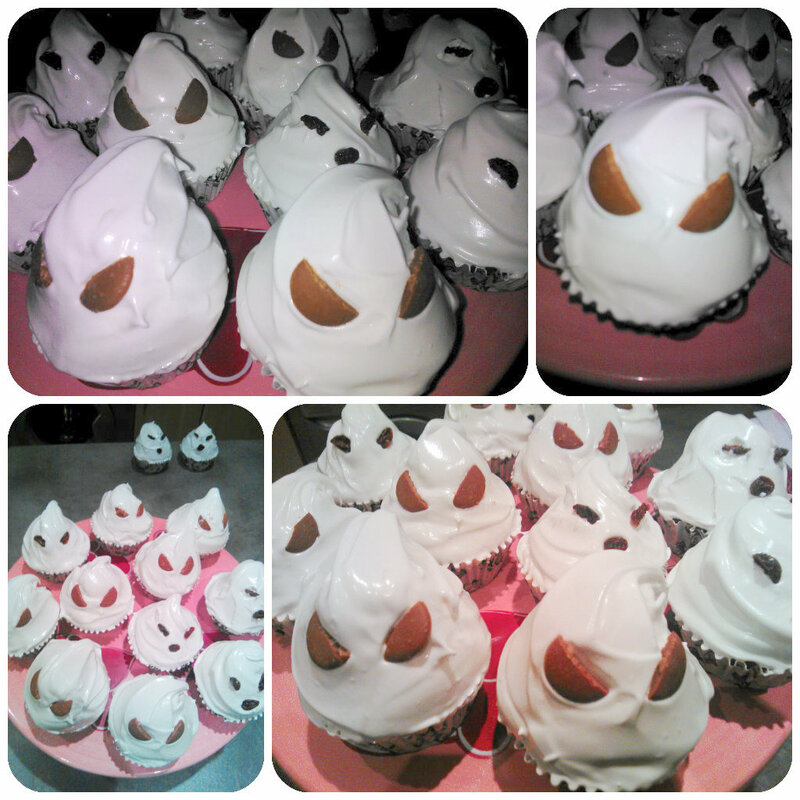 We used raisins and chocolate buttons to decorate the faces of the ghouls once the icing had been applied. So the final test was the taste one – were they any good? 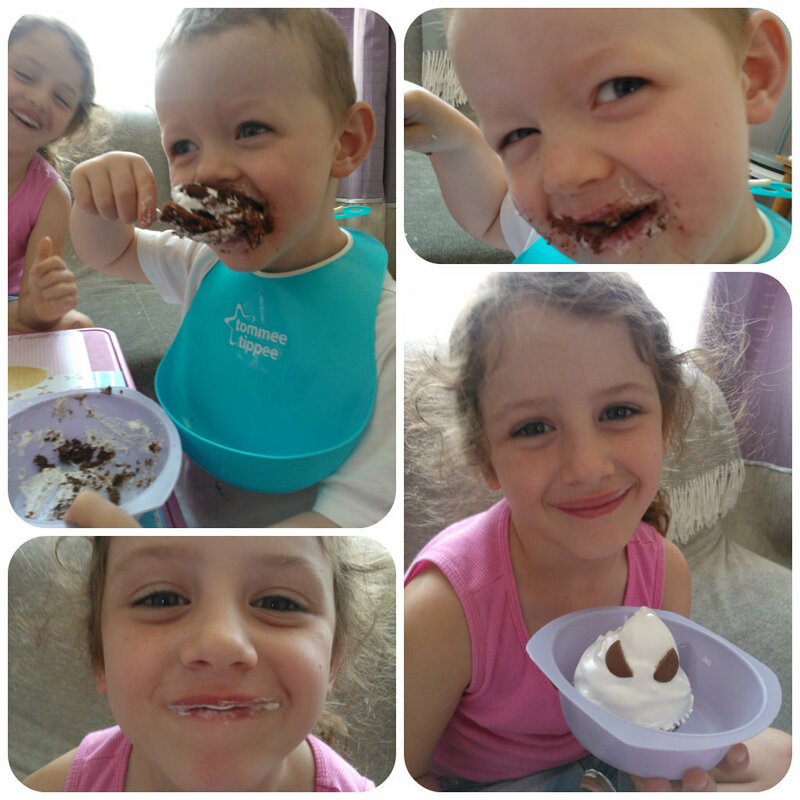 I think the pictures say it all – they loved them, I thought they tasted good too, I’ve not made that kind of frosting before and will definitely try it again. The recipe was simple to follow and I think our cakes looked very much like the cakes in the book. There are lots of inspiring ideas in the book, something for everyone. We are looking forward to trying out some of the costume ideas for Halloween later in the year – this book gets a big thumbs up from us! All reviews are my own and my family’s opinions. We are not paid fohttp://www.rylandpeters.com/ourshop/halloween-craftsr reviews although we do receive the product to try out and enable us to write the review. This entry was posted in Reviews and tagged ghost cupcakes, ghoul cakes, Halloween, halloween costumes, halloween costumes for kids, halloween crafts, halloween pinata, marshmallow frosting, meringue frosting by Fiona Martin. Bookmark the permalink. Lots of fab ideas for Halloween! It won’t be long in coming round! Can’t believe a few more month is Halloween! I’m so looking forward to bake some cakes! Ooooh I LOVE getting creative at Halloween – and the baking looks FAB!!! I think I need a copy of this!